It was a very exciting day for Sophie’s Stars at the Greenwich House/Malakoff Girls Basketball League Playoff. 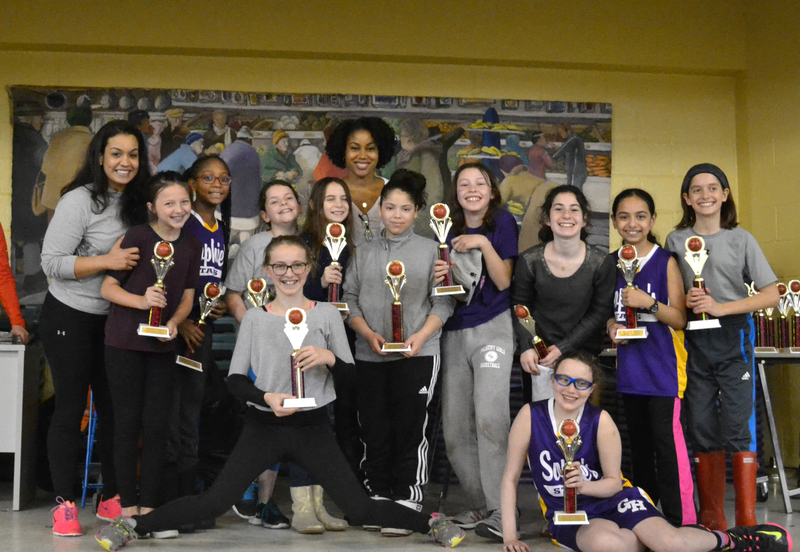 Though they didn’t win the playoff on Saturday, March 14th, everybody recognized their powerful back court skills and shining team spirit, right down to the purple and yellow face paint! And the award luncheon, where everybody is a winner, was a pretty impressive event, too. Tagged Alan J. Gerson, Basketball, Girls Basketball, Greenwich House, Harry Malakoff, Healthy Youth, Sophie Gerson, Sports.